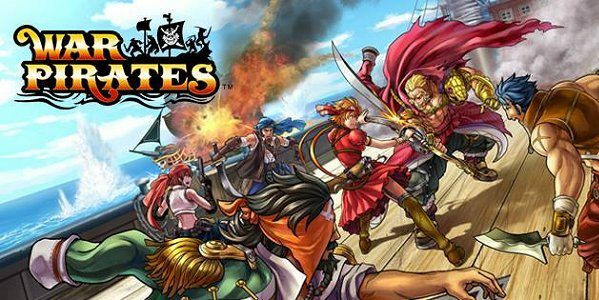 Press Release: goGame, a subsidiary of SEGA, has announced that they will be launching the pirate-themed mobile game War Pirates: Heroes of the Sea globally. Players take on the role of Pirate Captain to complete story quests and defeat rivals to lead their fleet and crew on a swashbuckling adventure. Players can also battle between themselves in real-time PvP duels. Balancing strategy tactics, aim-to-fire battle and an elaborate storyline, the game offers seven maps, over 700 quests, 7 ship types and 150 pirate characters to achieve an immersive mobile gaming experience. Soft launch for War Pirates has begun and the game will soon be available for free download on various app stores worldwide, including Apple App Store, Google Play Store, Appota and Aptoide. To be notified during launch, players can pre-register their interest from today at: http://gogame.net/games/war-pirates. All pre-registrants will gain a significant advantage during gameplay in the form of an in-game character reward—Alice, a 5-star pirate.